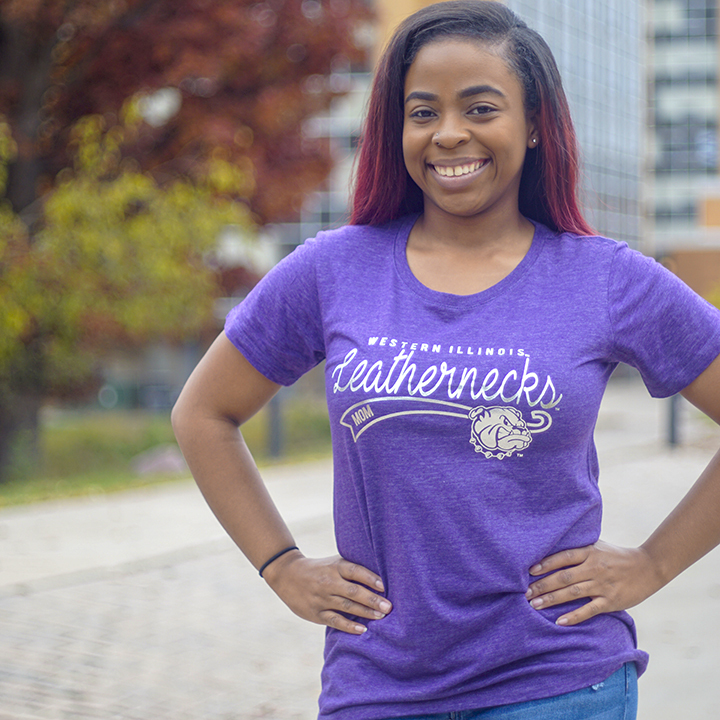 This short sleeve, tri-blend foil tee is a great gift for any WIU mom. The purple tee features silver Western Illinois Leathernecks over a ribbon with Mom in the center a Rocky head next to it. Please select option for Mom Foil Tee.